Sorry everyone, I am still so behind on this, so don't think you didn't win if it's been months since you entered. 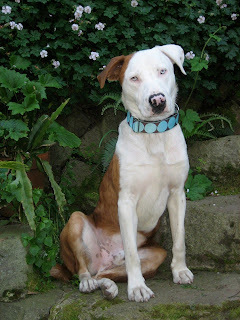 Breed: I am a border collie/pit/catahoula leopard mix, I think. I was picked up on the streets in Merced, and almost euthanized by the Merced Animal Shelter. Just in time, Tri-Valley Animal Rescue found me, and there I was discovered by my new family. I have been with my family for about a year now and I love them as much as they love me! One day they made a mistake and didn't take me to the dog park to run. Just to let them know what a big mistake that was, I broke a lamp and chewed up some stuff while they were gone. To my surprise, they still loved me, and promised to take me to the dog park EVERY day from then on! My favorite toy is the kong that I play with at the dog park, and my favorite treat is the dried salmon that mom and dad have been giving me. Would you like your dog to be "The Mod Dog of the Month" and a chance to win a free collar? 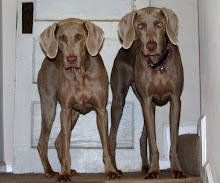 Just email a photo of your dog wearing their new collar, along with your dog's name, age, breed, favorite toy, favorite treat, the story of how you got the dog, and any other interesting facts you would like to share to kyra@themoddog.com Each month(or so) a winner will be chosen and featured on The Mod Dog blog. After a very successful racing career, this beautiful (hence the name) greyhound went into the Colorado prison dog training program for several months before being adopted. She is now very happy in her new home. She's silly and fun and very, very polite. 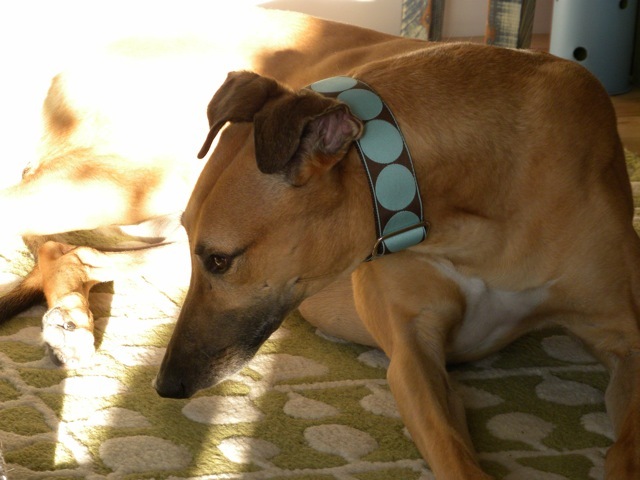 With her new Mod Dog collar she's even more beautiful, if that's possible, and tres chic and stylish to boot. Her favorite game is to pick things up from around the house and set them in her bed. No chewing, she just makes a subtle "pay attention to me" statement. And when confronted with the stolen item she looks at you as if to say, "Moi? Of course I had nothing to do with this silly escapade." Her favorite toys are her fuzzy Eeyore toy and any old pieces of cardboard. Her favorite past time: to run. And she truly is poetry in motion. Her most silly feature? When she gets excited her teeth chatter and you can hear them across the room!